colorpHlex Home Care Kit is designed to maintain the healthy vitality restored during the salon color treatment. Formulated from the same naturally derived vegetable protein molecule, the home care kit continues conditioning and fortifying hair from beneath the surface. The three step combination will leave your hair smooth and shiny long after you’ve left the salon. 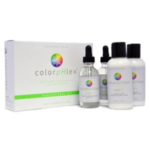 colorpHlex Shampoo is specially designed for color-treated hair featuring vegetable-derived Color Strengthening Technology that strengthens weak & damaged hair. Naturally protective Sunflower Seed Extract reduces the fading of color while providing unmatched moisture balance to your hair. Sulfate-free. 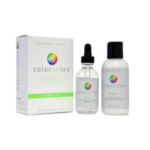 colorpHlex Conditioner is specially designed for color-treated hair featuring vegetable-derived Color Strengthening Technology to strengthen weak & damaged hair. Lock in color with naturally protective Sunflower Seed Extract while eliminating tangles, restoring moisture, and promoting healthier-looking, soft hair. 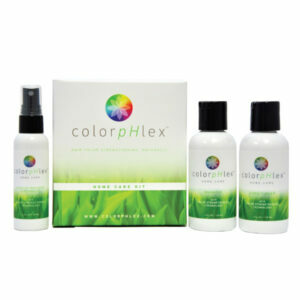 Help salon results last longer with colorpHlex Leave-In Treatment and Detangler for color-treated hair. Our vegetable-derived Color Strengthening Technology strengthens weak & damaged hair while Sunflower Seed Extract naturally protects your color from UV damage and fading. This unique formula will detangle hair, add shine, and promote healthier-looking, soft hair.